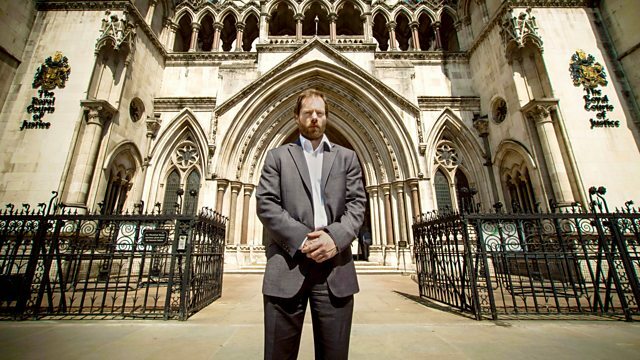 BBC One - Panorama, Undercover: Justice for Sale? An investigation by Panorama discovers experts in handwriting, CCTV analysis and animal behaviour prepared to help clients hide the truth in breach of professional obligations. Expert witnesses who give evidence in court are a vital part of our legal system. They are supposed to act in the best interests of justice and not just help their clients. Yet an undercover investigation by Panorama has found experts in handwriting, CCTV analysis and animal behaviour prepared to help clients hide the truth in breach of their professional obligations. And, as reporter Daniel Foggo discovers, it follows the government's failure to act on calls from the Law Commission for tighter regulation of court experts.